Which fan do I need? 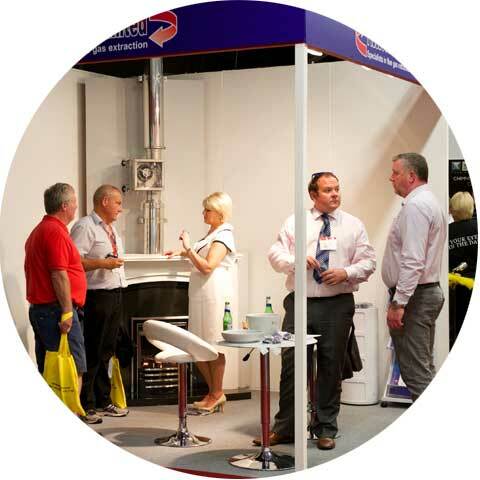 Flueboost is a registered member of ICOM, a division of the Energy and Utilities Alliance – a not-for-profit trade association that represents and promotes the interests of the non-domestic heating sector. Under Managing Director Alison Cartwright, the company assembles its own range of CE-approved, inline boiler and gas-fire fans. Flueboost products are used throughout UK and Europe, sourced for their impeccable reputation for quality, reliability and durability. Flueboost fans keep hot water on tap, fireplaces healthy and safely remove dangerous carbon monoxide from public spaces and private residences. Our inline chimney fan range is a unique product that is ideal for listed and heritage buildings because they dispense with the need for an unsightly roof-top fan or costly maintenance. Flueboost customers save valuable time because they are able to deal directly with Alison and Stuart Tulloch, the company’s Technical Engineer, who are responsible for the day-to-day operation of the company. Become a Flueboost stockist and receive an additional discount off the trade price. Telephone 01565 755 599 or email info@flueboost.co.uk to find out more about the benefits of working with Flueboost.